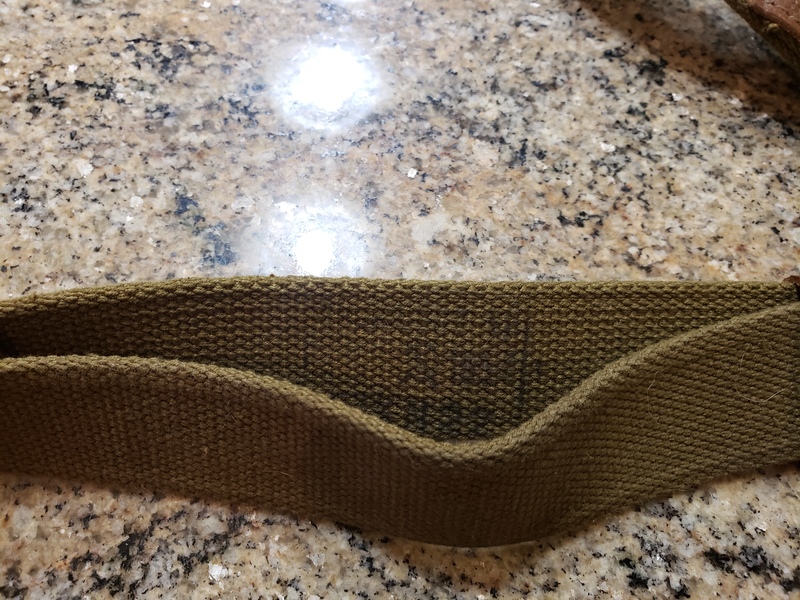 Does anyone know what this sling is from. I believe its Russian, but I have no idea. zteknik and Gman like this. 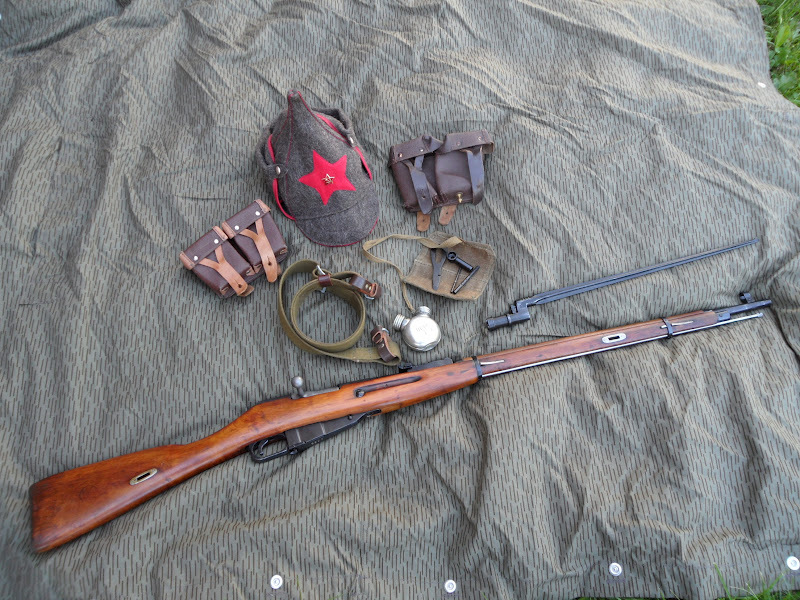 Mosin Nagant 91/30 , m44, m38 and any other weapon the Soviets could fit them on. Damn. I was hoping for something cool. It is. 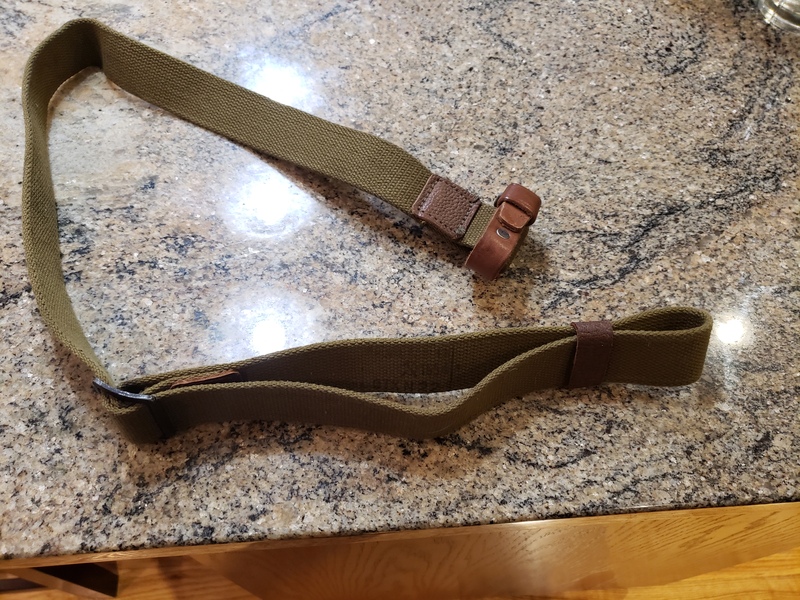 Its a russian sling that could be put to use. Thats pretty cool on its own. CGSteve, Fiorentino and JeepFan like this. You need to find another dog collar for it. So I know that it is neat in it's own right, but it's so not cool that I completely forgot where it came from. In my ripe old age 38, I completely forgot that I had one of those about 10 years ago. I got it in trade, and was pretty unimpressed with it, never shot it, and traded it away within a few days. Well, to be honest bolt actions weren’t my thing in my earlier years either. Nowdays, i see the beauty in them. Pick you up a couple before the prices get too high on them and give that sling a good home. Wait until you find parts kits you forgot you had.